Orko runs away, thinking his friends don’t really like him. 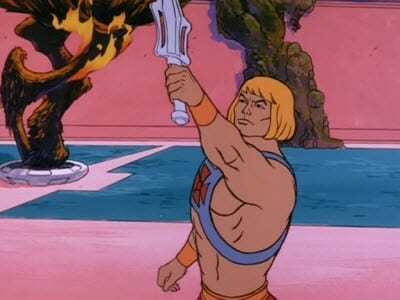 The Sorceress solves his problem, but on his way back to the palace he is captured by Skeletor, who puts him under a spell to reveal the riddle of the jaw bridge. Skeletor uses this riddle to break into Grayskull, and The Sorceress must defend the castle while He-Man tries to free Orko.